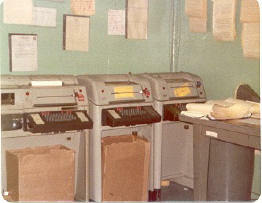 The Udorn newsroom, late l975. 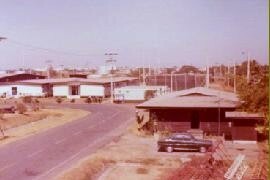 The Udorn AFTN station in early 1976. 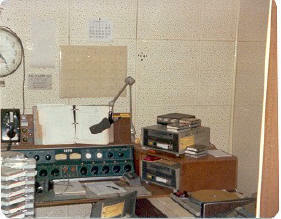 Rick Davis car outside the station. 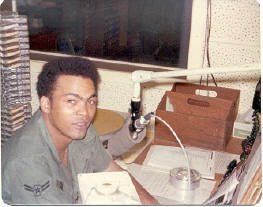 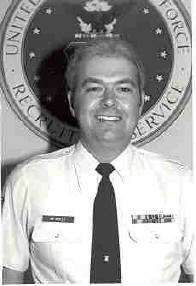 Fred McNeilly four yrs after being stationed at Udorn, then Utapao. 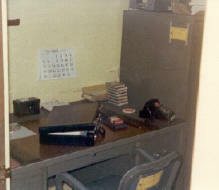 Fred's desk at Udorn, October, l975. 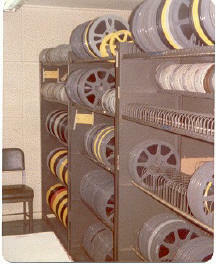 The Udorn film library, 1975.